Almost every weekend, Pete drives his children, Mica (6) and her brother Kai (8), to the mountains. Enjoy a mountain trip through Mica’s eyes, a little girl who will only ski in all pink, sees the weekend as an “extended recess,” and truly believes that her Dad likes to pull her across “the flat parts”. 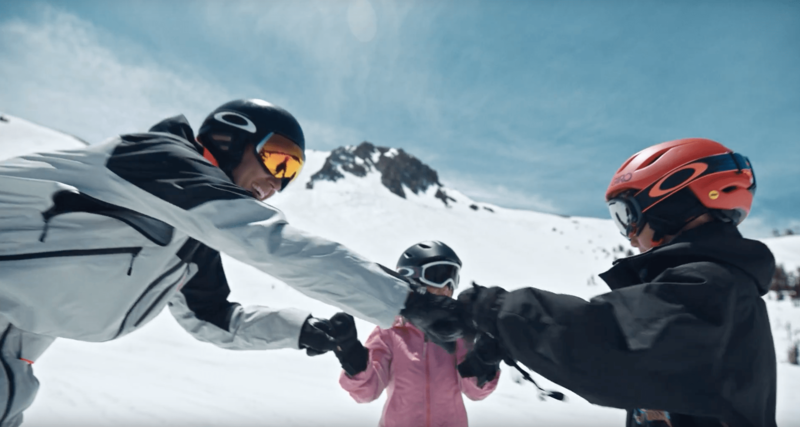 After bundling up and collecting their Ikon Passes, Mica, and Kai race to the lifts and follow Dad wherever he goes – into the trees, through the park, and practicing turns on the groomers. He teaches them that we get back up when we fall and that it is okay to make mistakes. Pete is Mica and Kai’s icon. Thanks to all dads out there. Share your own memories with us.